Defense Minister hints heavily that IDF plans action against Gaza, won't give details. Defense Minister Ehud Barak hinted heavily Tuesday morning that the IDF plans an operation against Gaza terrorists, but he did not provide details. Barak convened a situation assessment meeting at Gaza Division and heard the assessments of the Division Commander, the Head of Southern Command as well as police and Shin Bet representatives, regarding the tension in the South. Following the session, Barak said publicly regarding the round of escalation, "The matter is not over yet. We are here with Division Commander Mickey [Edelstein], Command Head Tal [Rousso] and Deputy Chief of Staff Yair [Naveh]. We heard the officers. 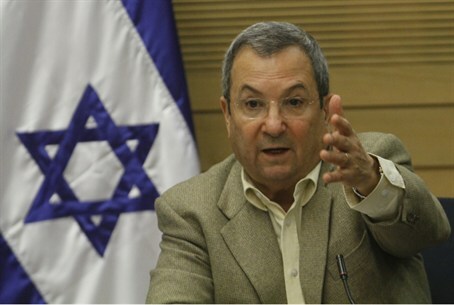 "A proper, professional and systematic operation is being undertaken here, in which the Hamas and terror organizations in Gaza are being hit hard, but the matter is definitely not over and we will decide how and when to act once the need arises," Barak said. "I do not want to discuss the date nor the means, because it would be wrong to supply this information to the other side. "Under no circumstances do we accept the harm to the way of life of civilians on our side of the border, and we intend to bring back deterrence and strengthen it in a way that will make it possible to act along the perimeter fence, in a way that will better ensure the safety of the soldiers who operate on all sides of the Gaza Strip. "Hamas, in our eyes, is responsible for everything that happens in Gaza, even when it is carried out by other organizations, and it will not get away with this," promised Barak.